Japanese cooking is a favorite style of mine when it comes to flavor and presentation. From Teppanyaki to Sukiyaki to Sushi, the art of Japanese cooking has a unique way of creating an exciting experience at the dinner table. Depending on how the food is prepared, it can be quick, simple and best of all healthy – a winning combination for busy moms like me. Although I’d much rather leave the sushi making to my favorite Japanese restaurant, I do love to make this poached salmon recipe at home whenever the craving for a Japanese-style adventure comes to mind. 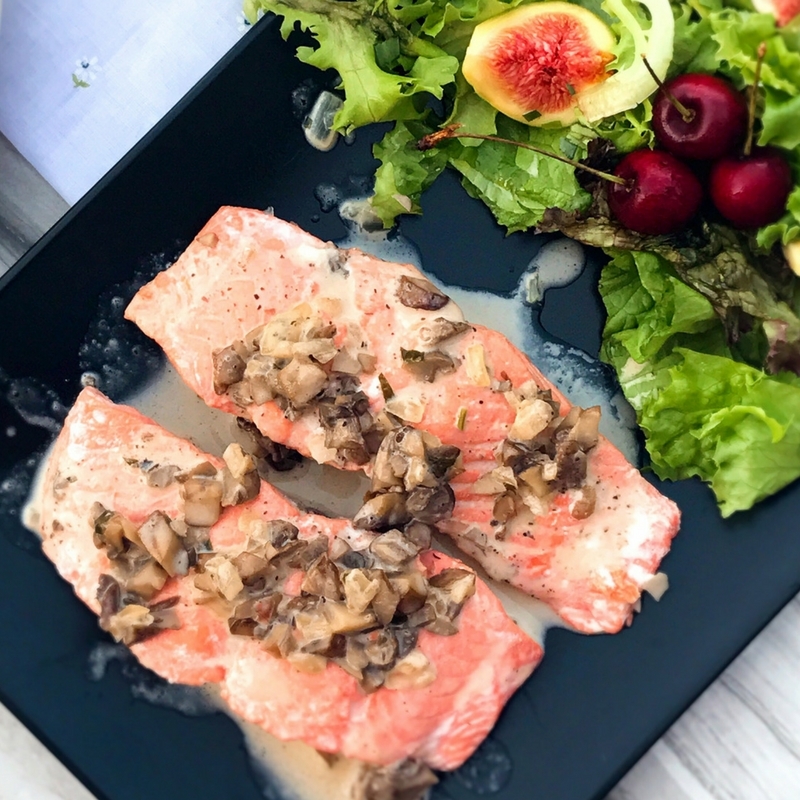 Japanese Poached Salmon is one of my favorite ways to prepare this fish. It’s delicious, very simple to prepare and makes an impressive main course to serve at your next dinner party or on any night of the week for a great family meal. Your kids will even love it! I prefer to pair this dish with my Mediterranean Herb Salad and a side of rice. Even though the salad isn’t exactly a Japanese style of salad, I just love the flavor combination of this lightly creamy fish paired with the zesty flavors infused in this salad. So what’s the secret ingredient that makes this dish Japanese so delightful? Simple. It’s the cream sauce combined with rice wine – or better known as everyone’s favorite Japanese wine. Yep, you guessed it – Sake. As they say in Japan, 魚を楽しみます “Sakana o tanoshimimasu”, Enjoy the fish! Prepare all of your ingredients. 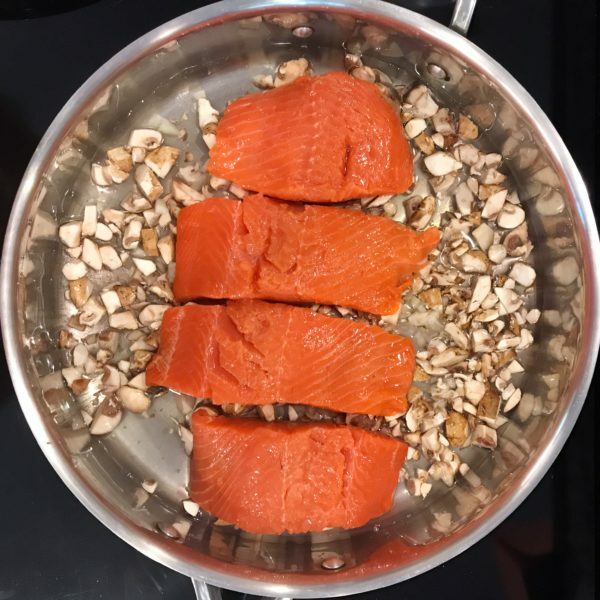 Rinse salmon and pat dry with a paper towel. Cut filet into 4 equal portions. In large skillet, arrange mushrooms and onions covering bottom of pan. Place salmon pieces on top. Pour sake and water over salmon and bring to a boil over medium-high. Cover, reduce heat to medium-low and gently simmer 3-5 minutes or only until salmon is slightly undercooked. 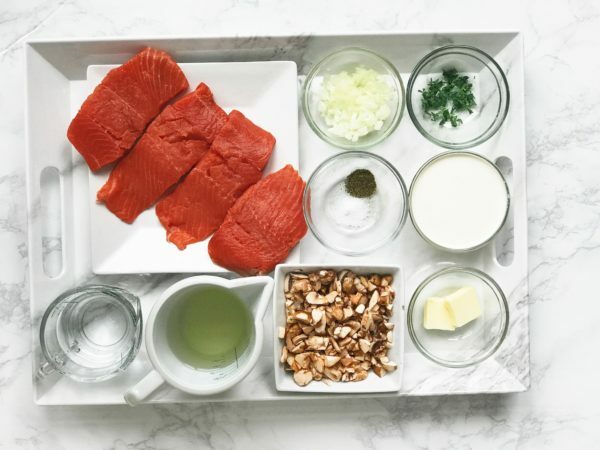 Remove salmon from pan, transfer to a plate, cover with tin foil, and set aside. 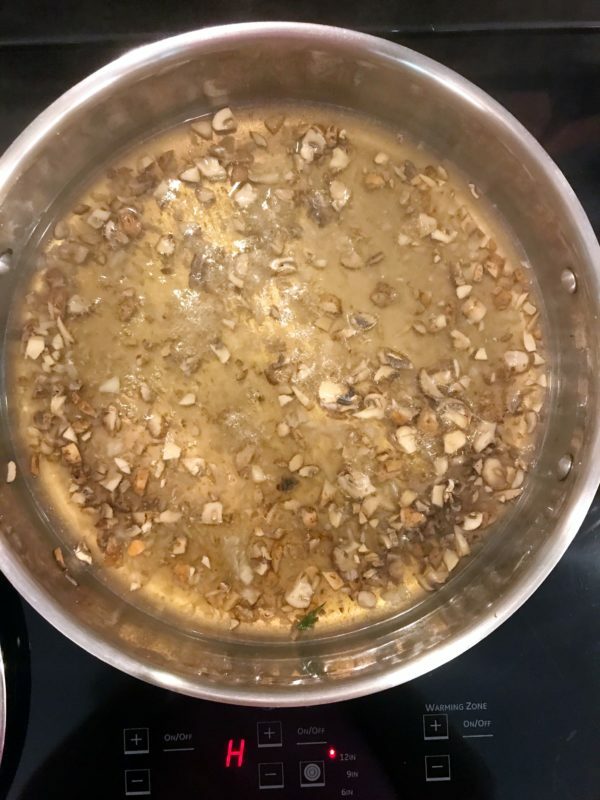 Increase heat to medium-high and continue to boil mushrooms and onions until the liquid has reduced to 2 cups. Add any extra juices from salmon plate, stir in heavy cream, butter, tarragon, salt, and pepper. Reduce heat to medium and continue to cook 10-15 minutes until liquid has reduced to 1 cup. Season with salt and pepper to taste. Remove sauce from heat and set aside. 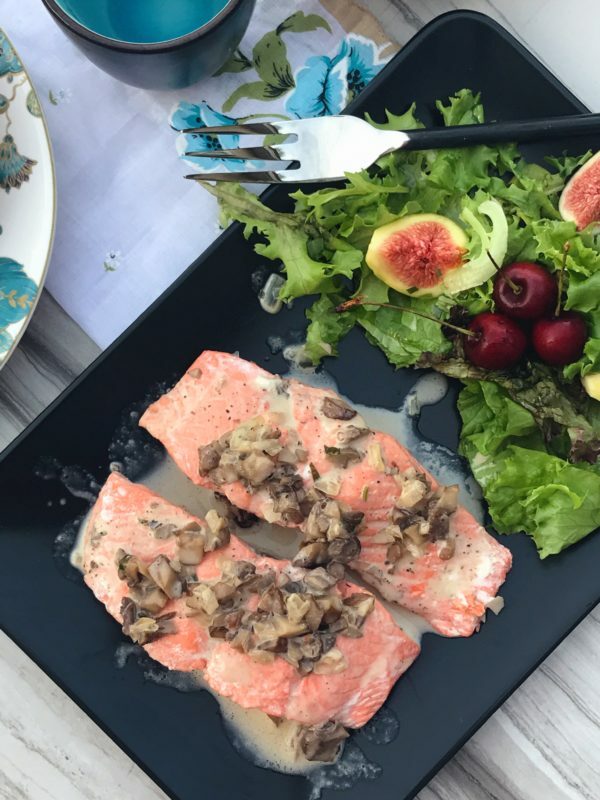 Transfer salmon to individual serving plates, spoon mushroom reduction sauce on top of salmon. Serve immediately.